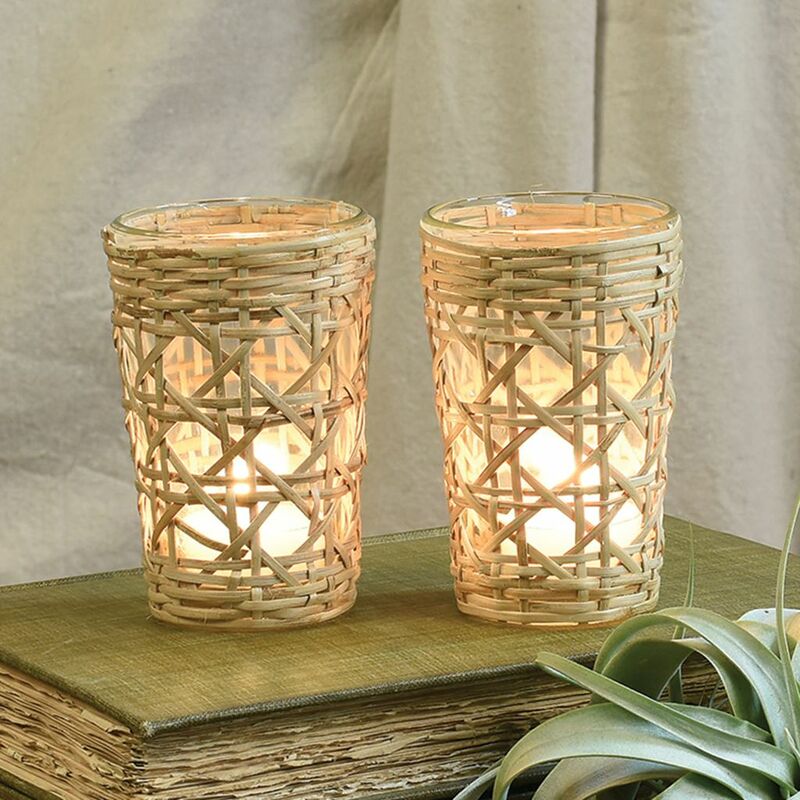 Evoke warm sand and sunshine in the comfort of your own home with our tropically inspired Cane Votive Holders. Comes with clear glass insert to hold standard tealight (not included). 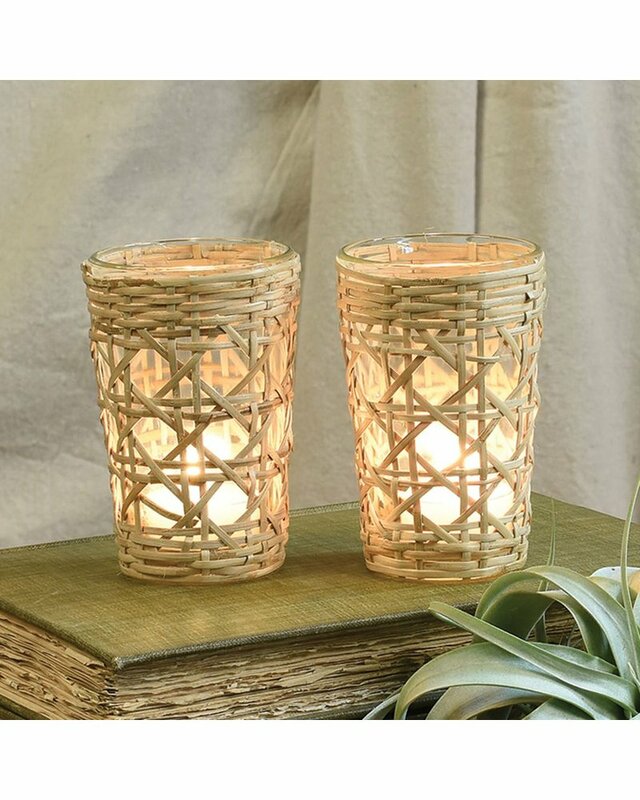 Mix and match your candle display with our 3 weave patterns.